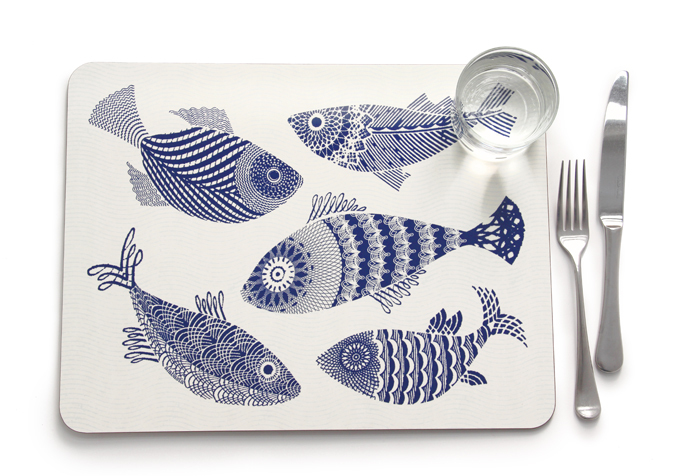 In addition to the 28cm round Blue Fish placemat we now have a rectangular version in two sizes launched with summer in mind. These are coloured in the original rich dark blue as the trays - the round version is in a brighter ultramarine. The new ones feature five swimming fish in typical intricate Alabasta style against an ivory background with a faint pale blue wave. The design works well on both placemat and tablemat sizes, depending on how bold you like your patterns. 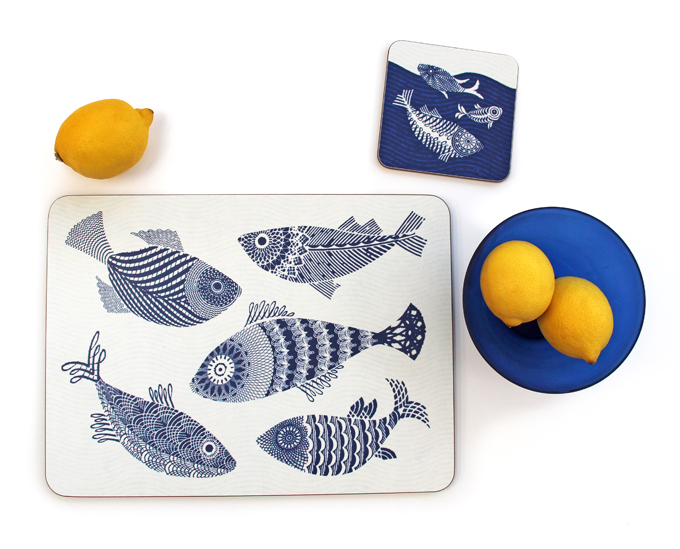 The coaster with the fish coming up for air is now also currently available in the darker blue and in a square 10cm format as well as the round in brighter blue. They are all available to order from Avenida Home whether you are an individual or a shop purchasing wholesale.